The Mattagami of the 21st century is a modern, thriving community, connected by highway to Timmins and Sudbury. In 1960, however, the winding gravel road connecting the village to the outside world was often closed by the elements, and when it wasn't, travel often proved to be a harrowing adventure. 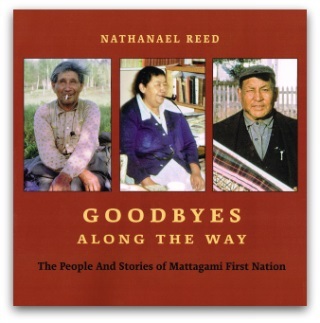 Our family moved to Mattagami in 1960 when my father accepted a teaching position there. For the next four years our family lived in an apartment at the back of the one-room school, which was attended by two-dozen students from grades one to six. The time spent in Mattagami conjures up some of the most eventful memories of my life. Among the many adults my parents counted as friends were some of the community's old timers - men and women who opened their hearts to my mom and dad and shared much of the village's fascinating history: the Iroquois Wars, the giant snake, shaking tent ceremony ... These are the stories my father recorded in a number of old scribblers, and it is many of these same stories that are related within the pages of this book, retold through the eyes of a twelve year old boy.